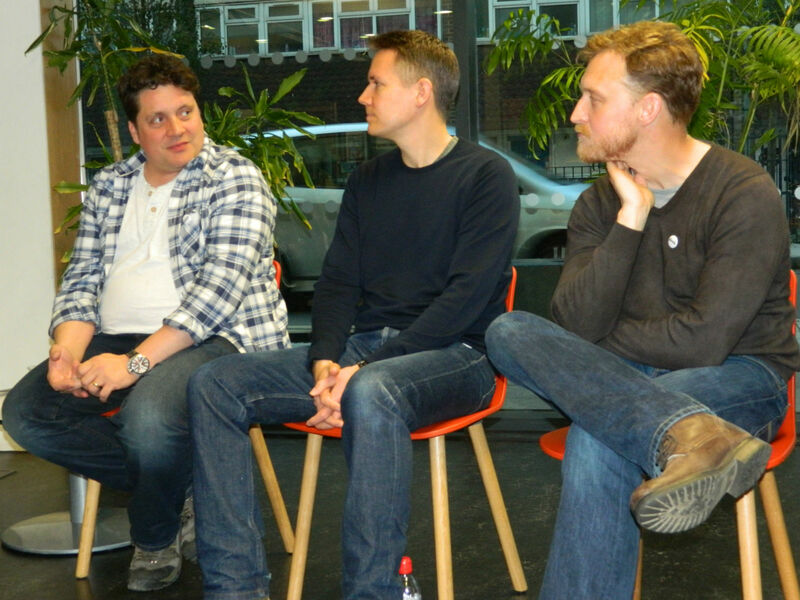 Last night I was at the Deptford Lounge Library in conversation with authors Mark Walden, Rohan Gavin and Steve Feasey for the inaugural Geek Night organised by The Reading Agency and Bloomsbury Books. I arrived just after 5pm and chatted to Paolo, one of the Deptford Lounge librarians and Caroline Fielding until the authors arrived along with Ian Lamb and Charli Haynes from Bloomsbury. Deptford Lounge is a geek heaven, one of the things we noticed was the film’s they will be showing over the next few weeks, this included Akira, Ghost in the Shell, Them!, Invasion of the Body Snatchers Star Wars, Godzilla and other science fiction greats. Apparently it is fairly inexpensive to get the rights to show films if you do not advertise them outside the building that you are going to show them in. Last night was the first time I had met Steve, Mark and Rohan although I had attended events that they were also at, but our paths had never crossed. For a first-time event the evening ran remarkably smoothly. I was almost superfluous to requirements as, except for posing questions in the lulls between conversation the talk flowed effortlessly between the authors about their geeky interests and what inspired their books to whether or not the Moon Landing had been faked (consensus was that it was in fact real) and other topics of personal and geeky interest. 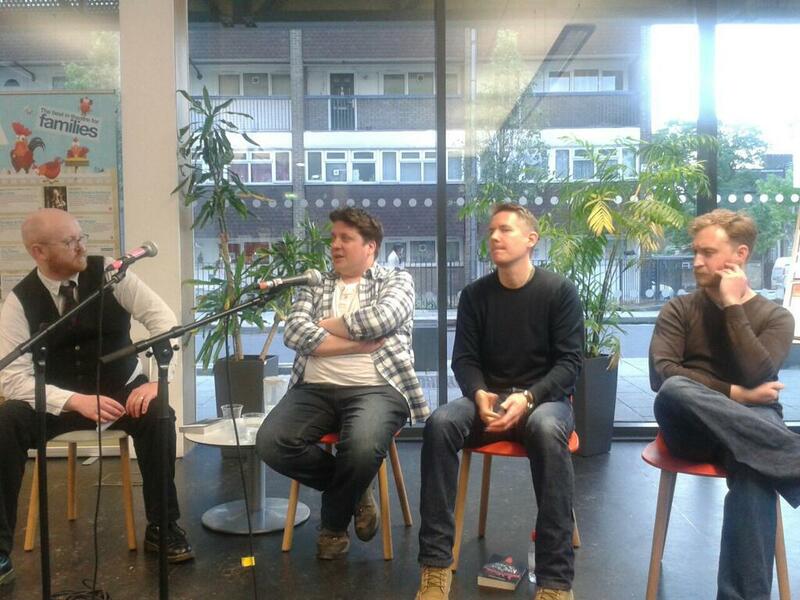 The talks elicited laughs from the small but perfectly formed audience who seemed engaged throughout the hour. Our talk also touched on why geeks seem to be typified by socially maladroit men and why sports geeks have always seemed to be socially accepted at the expense of the comic reading and gaming groups. This led on to a pointed discussion as to why some parts of (male) geekdom turned on their geeky sisters with the “fake geek girl” accusations and threats over the past few years. The evening wrapped up with questions from the audience which included a shout-out to top trumps and Joss Whedon as geek culture’s primary go to guy for mainstream acceptance. Knightley & Son is Rohan Gavin’s first novel and reflects his love for Sherlock Holmes and criminal conspiracy tales. 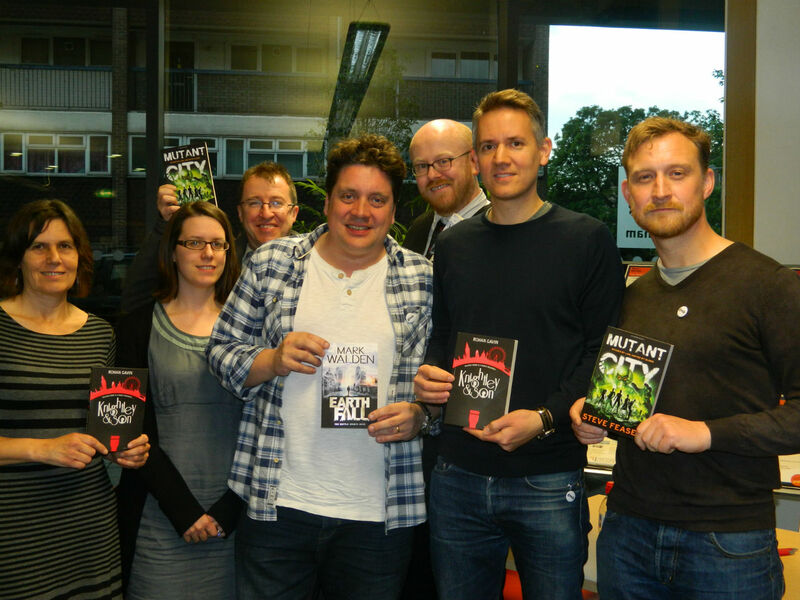 Mutant City is the first novel in a new series by Steve Feasey and has echoes of Mega City 1 and the X-Men as well as the current real world fascination of genetic manipulation and repressive governments. Earth Fall by Mark Walden is a modern take of alien invasion and resistance but removing the use of FTL travel and having aliens use other means of infiltrating and directing the human race. Three completely different novels but each influenced by the varied geeky interests of the authors. Photographs by Andrea Reece and Caroline Fielding.